The U.S. medical device industry employs more than 365,000 people across 5,800 companies. Medical devices are instruments and machines that are intended for use in the diagnosis of a disease, as well as the cure, mitigation, and treatment, of a disease. Similarly, instruments like bone graft delivery devices are intended to affect the structure or any particular function of the body. How are these devices classified? The Food and Drug Administration (FDA) places all medical devices into one of three regulatory classes: Class I devices are subject only to general controls, Class II devices are those for which general controls alone are insufficient to provide a reasonable assurance of safety and effectiveness, and Class III devices are those for which insufficient information exists to determine that general or special controls are sufficient to provide a reasonable assurance of safety and effectiveness. How does a device become registered? All proprietary names must be reported when the device is first listed and during annual registration updates. All contract manufacturers and sterilizers of finished devices must register and list regardless of whether they put the device into commercial distribution. A device must be listed by not only the manufacturer, but the specification developer, single-use device reprocesser, and remanufacturer, as well. 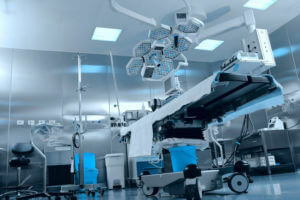 What are some examples of medical devices? Examples of these important tools include surgical lasers, orthopedic pins, sutures, pacemakers, wheelchairs, and bone graft delivery devices. Diagnostic products can also be considered to be medical devices, including pregnancy test kits and magnetic resonance imaging (MRI) systems. Is the Medical Device Excise Tax part of the Annual Registration User Fee? Since it is not related to any changes to registration and listing requirements, and isn’t enforced, collected, or implemented by the FDA, the Medical Device Excise Tax is not part of the Annual Registration User Fee. If you want to learn more about the importance of medical devices, bone grafting, or work with a legitimate and experienced company that sells quality bone graft delivery devices, give SurGenTec a call right away.